Angela has over 20 years of experience in the field of Substance Abuse Prevention. As a Certified Prevention Specialist, she oversees all prevention programs and strategies, which encompass all of the domains of prevention. As a Strengthening Families program facilitator , Angela has had the pleasure of implementing the program for over 10 years including a faith-based component to the local region. As a Master Trainer for SFP for over 5 years, she has had the opportunity to train countless facilitators in implementing the curriculum. Additionally, she has been trained as both a facilitator and trainer in multiple evidence-based programs. She is expert in community and collaborative prevention strategies. Bruno began working in prevention by facilitating Strengthening Families classes as a volunteer 8 years ago. His compassion for struggling parents and families quickly made him a favorite amongst the families he served. His investment of time and passion for strong, resilient people is what prompted him to become a Master Trainer. As a Master Trainer he is called on to train facilitators in large and small organizations, always with an eye to draw skills and talents out of those he teaches. Corrine has been an SFP facilitator for the last 6 years and has worked with children and families for over 35 years. Corrine draws from her experience in raising her own three children and now grandparenting. As a lead facilitator, Corrine is expert not only at working with the families but also at drawing out the unique skills of the interns who work alongside the facilitators. Xitlalic Martinez has been a lead facilitator for the Strengthening Families Program (SFP) for 6 years. She started her career working with families as an intern for SFP during her undergraduate studies. Working with SFP she discovered her passion for Strengthening Families, and in December of 2013 when she graduated with her Bachelors degree in Family Studies she began to work as a program coordinator for SFP. 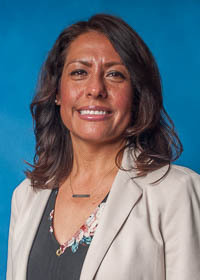 Since then she has worked in the fields of drug and alcohol abuse prevention, violence prevention, and currently serves as the Outreach Specialist for the College Assistance Migrant Program (CAMP) at Sacramento State. Xitlalic is passionate about strengthening the family unit and making programs like SFP accessible to Spanish speaking communities. Norma Tapia is a Strengthening Families Facilitator. She has been serving families for several years and is a parent favorite! In addition to her work with Delta Prevention, Norma is a Child Development Assistant (Bilingual) at Natomas Unified School District, who speaks both Spanish and English. "Miss Norma" has a passion and love for family support that permeates everything she does! Lucio has been serving families for as long as he can remember. As a child he attended Strengthening Families classes and as he got older, he took on greater levels of responsibility in the classroom. For three years he has worked with the preschool teachers, providing classroom and curriculum support. His experience and willingness to learn has allowed him to become a facilitator for the 3-6 children's group. My name is Daniel Peralta, I’m a very patient guy and I love helping other people have a better relationship with their families. I love soccer, food, working out, DJing, movies, etc. I recently changed my mayor to psychology specializing in couples’ and family therapy. I’ve only been with the SFP for less then a year but in that time I have learned a lot from this program and have put to use a lot of the skills that it teaches. After volunteering in Natomas I gave my parents and siblings the class at home and, Although my family is pretty close, we came to learn that we needed to develop skills like the ones in the program to be even closer and being able to communicate better amongst each other. I know this program is not only going to help us be better but we will carry on all this skills when we start our own families. Dr. Karen Kurasaki recently joined the Delta Prevention Team as a Lead Facilitator. She brings to the Strengthening Families Program a love for working with children of all ages and a passion for supporting parents/caregivers with being positive, nurturing influences in their children’s development. Dr. Kurasaki is a Clinical-Community Psychologist with over 25 years of experience in the fields of mental health and substance use disorder prevention, including child and family therapy, teaching, research, project management, program development, and policy. She enjoys working with diverse families and integrates an understanding of child development, family systems theory, and multicultural psychology into her work. Debbie Burt is a new family coach at Delta Prevention but has been working with youth and families for over two decades. She has experience as a Young Life staff member, Sunday School administrator, tutor and director for Classical Conversations, an ESL tutor, and as a certified trainer of the Nurtured Heart Approach. However, the great bulk of her experience comes from raising her 6 children (5 of them boys!) with her husband of almost 25 years. With one adopted child affected by drug and alcohol exposure in the womb, Debbie has a passion to prevent drug and alcohol abuse among young people. 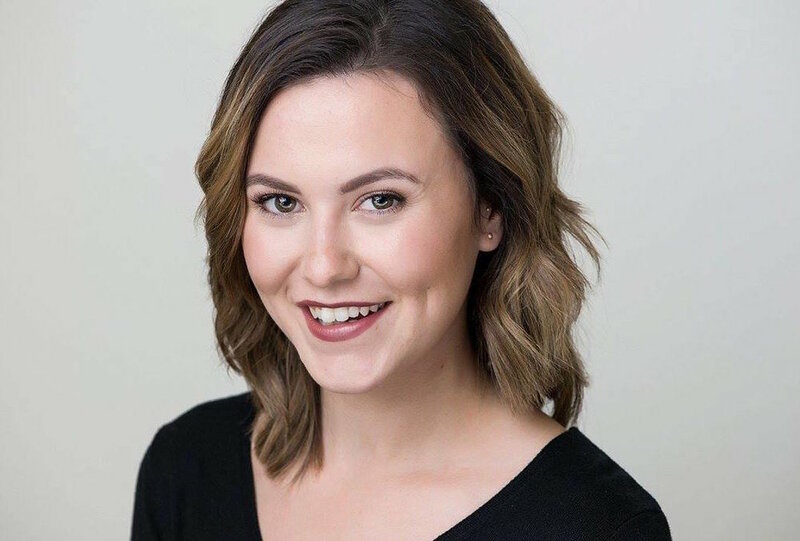 McKinley Carlisle is a recent California State University, Sacramento graduate with a B.S. in Family and Consumer Sciences with an emphasis in Family Studies and a National Council on Family Relations honor student. Her studies have provided her with a unique and in-depth understanding of the complexities of families. McKinley began with Delta Prevention interning for the Strengthening Families Program. McKinley's greatest interest is the role that children play within a family. With years of experience working with different programs aimed towards infants, preschoolers, and school-aged children, McKinley comes to the Strengthening Families Program inspired to facilitate a difference in the lives of children and parents. McKinley has also been heavily involved in the musical theatre community throughout the greater Sacramento area. This has provided her with many unique interactions with children and parents. She has shared the stage with them, directed, and costumed full productions. Josue has been a Spanish and English Strengthening Families Program (SFP) facilitator for 3 years. He has dedicated much of his career in community development and founded a program dedicated to young men in underserved communities called “The GRiT Academy”. He has a passion for people and families to be set free from generational cycles of physical and emotional unhealthiness and abuse in hopes of empowering them to change the trajectory of their lives. Josue have a Bachelor’s Degree in Psychology with a minor in Business Administration and a Master’s Degree in Higher Education Leadership all from Sacramento State. Anna is a lifelong learner, always seeking opportunities to grow and improve, and she is passionate about inspiring others to always learn as well. She recently completed the Strengthening Families Facilitator training and immediately wanted to share what she learned, first with her family, and of course with others. As a homeschooling mom of four kids, ages ranging from 7-14, Anna is in the trenches of motherhood and is excited to walk alongside other families encouraging them on the journey of strengthening the family bond. Anna has a heart for families. She has volunteered in children’s ministry at her church since she was a teenager. She enjoys working with both children and also uplifting parents. Jordin is a current student of California State University, Sacramento finishing her Bachelors in Family and Consumer Science with a concentration in Family Studies this May. She has worked in a rural school district for the past five years utilizing her educational background of Human Development; Social and Behavioral Sciences which sparked an interest in how children thrive. Over the years she’s became fascinated with the family’s integral part in a child’s life and the ways to help create cohesive family units. Erika Green, M.S., has 22 years of experience providing direct service, management, training, and field support at the local, statewide, and national level in youth substance use disorder (SUD) prevention. Ms. Green is dedicated to the provision of evidence based resources, programs, and strategies to impact community health. She has participated in all levels of the SUD prevention field in local and statewide activities and has extensive experience and understanding of evidence based delivery system models. She has provided direct SUD prevention services as a program coordinator and director at the community provider level, has developed program strategies evaluated outcomes, and provided training and support to agency staff. Over the last four years she has served as the Associate Executive Director at the Center for Applied Research Solutions (CARS) where she provides organizational guidance and support to twenty staff located across the country. She is also the Project Director for the Community Prevention Initiative, funded by the California Department of Health Care Services serving the California SUD prevention field. Ms. Green is responsible for providing vision and leadership on CPI, developing and managing project plans, supervising and managing program staff, and collaborating with consultants and experts to ensure successful delivery of services that align with funder priorities and the Strategic Prevention Framework. Patty Lew, born and raised in California, married for 24 years to the love of her life and mother of 3, 2 are men and one is still a little man! Patty has been living her dream as a SAHM for over 20 years and plans to continue the dream indefinitely. Patty has worked with children for the last 30 years and has enjoyed helping coordinate her church's Vacation Bible School for almost 20 years. Currently she and her husband co-lead a small group of married couples from their church. Patty and her boys have volunteered with Strengthening Families, helping to prepare meals and serve the families attending. She enjoys feeding others and sharing her love of cooking! Germaine Fountain, a Sacramento native has been married 25 years with 2 adult children. As a professional, Germaine has over 15 years of fiscal experience working in various positions at financial and retail institutions. She has served her community in various capacities throughout her adult life including volunteering in Children's ministry for over 15 years, and serving in the Strengthening Families Program in different positions. She enjoys coffee, chocolate, ice cream and reading. She hopes to one day paint like Bob Ross and learn to tap dance. Rissa Scott is passionate about working with families and young children helping them to overcome challenges and apply strategies to create a healthy family environment. She is an avid supporter of the Strengthening Families program and is a graduate along with her family. Her experience in the program led to the opportunity to be involved as a board member of Delta Prevention. It is her desire to be trained as a family coach to educate and empower families in prevention strategies and skills. Rissa is a native of California. She has been married to her husband Eric for 26 years and is the mother of three adult children. She is currently employed at Capital Christian School as an early education teacher working with special needs children. She is also an early education mentor, supporting and collaborating with other professionals in the early education field. She has an AA in Early Childhood Education and is currently pursuing her Bachelor's degree in the same field through Brandman University. She serves as secretary on the board of Delta Prevention.